Officially celebrating the 3rd year of Dominic Barrios Photography, we launch with new products and a new look. Since the beginning, we have given importance to capturing memories for our clients especially during weddings. We give much value to these because more than just capturing emotional moments, candid shots or expensive details, we treat each image as a token of their life’s blessing. We believe that every blessing is beautiful and is meant to be re-lived and shared. 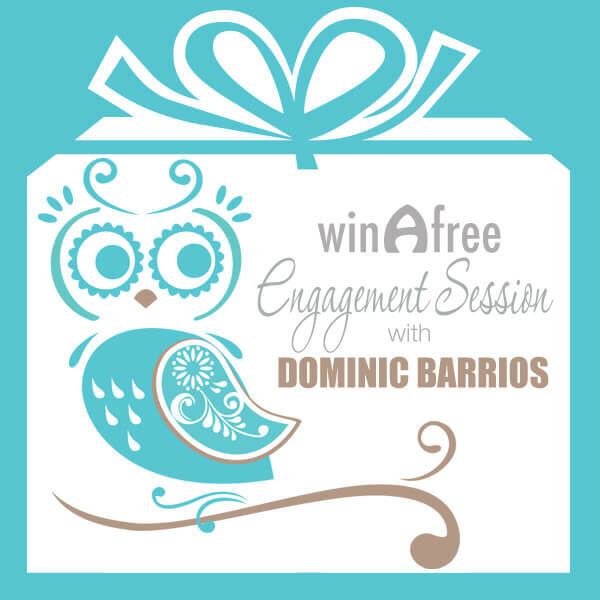 And so, to share the blessing of our re-launch, we are giving away Engagement Sessions to three (3) lucky couples. To know how to get a chance on winning these prizes, all you have to do is click on the link below and follow the instructions. Cheers to more blessings for all of us!! ** Stay tuned to know more about our new products.